gonna take this time to get the league sbcs looked at. i think last year it was russia and mexico leagues to start but obviously no more russian league other than the teams in european competition. any speculation on who the first two will be? Does anyone know the requirements from last year for week 1 MM's? Doea anyone have a calendar spreadsheet of games? Why would we get an end of era Ronaldo? No MM. I laughed. Tbh the game isnt out yet. Are we expecting the old 83+ sbc with the release of otw's? There's a lot of 83/84 players you can pick up for few coins. Which SBC are you talking about? If you're talking about a guaranteed OTW we never get them for the Summer OTW, always with the winter. What are we expecting the requirements for the Lucas POTM SBC’s to be? Similar to Mane’s last year? I’d imagine there are people that have slowly invested for this, what kind of things have you targetted etc..? I've got a Lucas Moura, will possibly be extinct before the POTM is released. Either way he's going to shoot up whatever the requirements. Then I'm getting a BPL in form. Hopefully Xhaka as he's 84, so it helps with any rating problems for the squad. I think they might throw out an 83 rated random team as a requirement, maybe multiple nationalities and 60 chem or so to make it a little difficult. I'm not sure if Lucas will be a requirement himself, guess it depends on how much of a buff his POTM receives. I do think it'll be worthwhile having at least one high rated Spurs player that can be picked up at a cheap price. If they do a block requirement like they did loads of times last year, a lot of high rated BPL cards will almost be a sure-fire requirement. I'm thinking Aldeweireld or Trippier would be some of the better Spurs options to invest in, or to at least have covered if you plan on doing the SBC. Well I’m surprised you don’t think he’s definitely needed. He has to cost 100k+ really, not quite as popular as Mane but he should be central right? I think requiring him is a great way for them to drain some coins without taking too many cards out the market. I’ve managed to get IF Fraser, a 78 rated discard BPL team to fill spaces if needed for potm or MM, and an 80 rated Ligue 1 team with Gustavo and some PSG players. Going to sleep for 6 hours as i live in. China, then going to grind a few hours before I have work. Ps, i always used to follow your old threads, I’ve not been on for about a year, it’s sad how dead this place is now. The good ole days eh? I'm on the fence on whether he'll be a requirement itself. EA dropped the ball last year making Mane a mandatory requirement, although I did cover that possibility and made loads off him. Lucas should still be a good investment regardless of whether he'll be needed for sbcs to be honest. Out of interest, how many potm's last year needed a card of their own to sacrifice? I can only th in k of mane and Aguero, who needed an inform. I'd still say it's worth picking up Aldeweirald, maybe trippier or davies, and some cheap high rated cards from PSG. Edit - he should be a striker card as I think most his games were beside Kane? I wouldn't mind RW either, in fact I'd prefer it. Yep, looks like he'll be a ST card. Second inform equivalent would make him 86 rated I believe. Last year we saw only Mane require his regular card but he was 80k at the time (and rose to 180k). Of the other POTMs, they either required inform versions of themselves, or just high rated squads. Personally I don't think Lucas will be required as he's just too cheap, so many people will have invested in him and it gives even the poorer guys a genuine chance to make a big profit - EA don't want this. For Mane it was a bit different, very few people could afford an 85k player just a few days into the game. High-ish rated squads (Brazil, Ligue 1, PL) would have to be the most likely IMO. You'd expect him to be priced around the 120-180k range based on the prices of Aguero and Jesus - he'd probably be in the middle of those two. For those looking for pretty safe investments, guys like Naldo, Falcao, Otamendi are decent options who you wouldn't expect to lose coins on, no matter what the requirements are. Very risky, possible OTW card. His stats aren't that great either, not the best workrate, you want muscle on your RB. I've tried a good few wingbacks, Meunier has been the standout RB by a long shot. Strong with perfect high/high workrates, huge in game at 6"3" and he won't be getting done on back post crosses with his height advantage. Crossing is very good in Fifa 19, you want height and physical on your wingbacks. I've invested heavily in Ben Yedder. NIFs that receive inform cards on the 2nd week are normally very reliable investments. I got 60 for around 4.5k each. I'd expect him to at least quadruple in price come q week's time, although I do need a compliant EA to update his price range once he goes extinct. 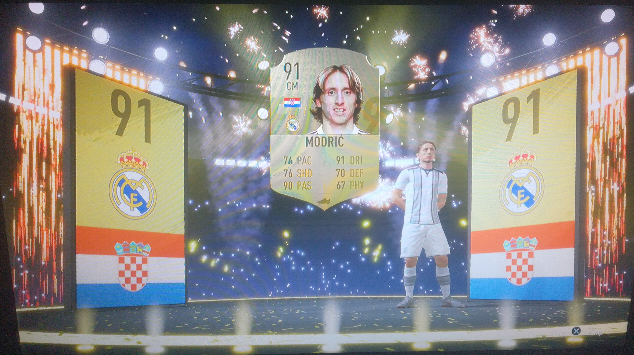 I wanted IF Hazard, although I think I've missed the boat on him now. I’m not saying your wrong but 16k would be a hell of a lot to pay when Gameiro is almost the same player. Good luck though! 1 is almost a lock for IF so he won't be in packs hence why the jump in price. Edit :- That IF Ben Yedder got a +3 in pace. Hernandez will also be an insanely popular CB option. Just purchased IF Cancelo for 95K, i'm away for 2 weeks on holiday this weekend so wont be playing for 2 weeks , do you think this is a good investment , given his perfect link to Ronaldo? I'm at to whipping up a bunch of Fraser's, hopefully an inform is needed for POTM. Yeah over time he'll almost certainly rise. If prime icons/SBCs are similar to what we saw last year, then we'll see resting prices of roughly 10k for 85 rated / 18k for 86 rated / 25k for 87 rated / 35k for 88 rated. Might take a couple of weeks but the high rated guys are bound to rise. For that same reason I rate players like Godin, Oblak, Kroos, Neuer etc for the time being. They'll either rise, or hold their value and you can use them in your teams for the next few weeks as well.